The most notable advantage of hiring a managing agent is their in-depth expertise in running a sectional-title smoothly, efficiently and correctly. Since 2003, the popularity of sectional-titles has been steadily increasing and reports released by property analytics company, Lightstone, revealed that for 2018, Gauteng held the highest percentage of sectional-title sales at 53% - and this activity will remain throughout 2019. The popularity of this property type, which now holds more than half of all property transactions in the province, has placed a spotlight firmly on the role, benefits and importance of managing agents, who are appointed by a body corporate in a sectional-title scheme to ensure that the property is safe, managed successfully, upholds a good living environment, and they ultimately, act on behalf of the scheme as a whole. De Lucia Group has been operating in the property industry since the '70s and has accumulated decades of experience managing sectional-titles of all sizes and in many regions around Gauteng's Kempton Park and surrounding towns. They have firsthand experience in bodies corporate that waited too long to appoint a good agent or avoided appointing one at all - in both circumstances, the scheme ended up in financial disarray, common areas were not well-maintained and disputes between the trustees and body corporate were not handled correctly. Many sectional-titles choose not to appoint a managing agent as they think it will be easier to run it independently as this cuts out a "middle-man" and seems less costly. However, while this may seem like a viable option at first, in the long-run, this proves to be more financially costly and, overall, reduces the quality of life for residents. The most notable advantage of hiring a managing agent is their in-depth expertise in running a sectional-title smoothly, efficiently and correctly. Most times, the trustees do not have this knowledge, therefore an agent will fill the gaps where needed, and consequently, save time in the process. In a nutshell, a managing agent's role and responsibility is to provide the body corporate with all the necessary resources and staff to assist with the management of the scheme, as well as answer queries. They will also provide essential policies and documents as prescribed by legislation, some of which include participation quotas, conduct rules, minute books, insurance schedules, debtor's schedules and management rules. Considering the comprehensive duties, many bodies corporate choose to employ the expertise of a managing agent according to a scheme's unique requirements. For example, a smaller scheme may decide to handle administrative tasks internally, while other duties such as levy collections, legal issues and the handling of complaints can be facilitated by the agent. While, bigger schemes may need more assistance in day-to-day running and can employ the agent to run most, if not all aspects of the property due to a bigger budget. 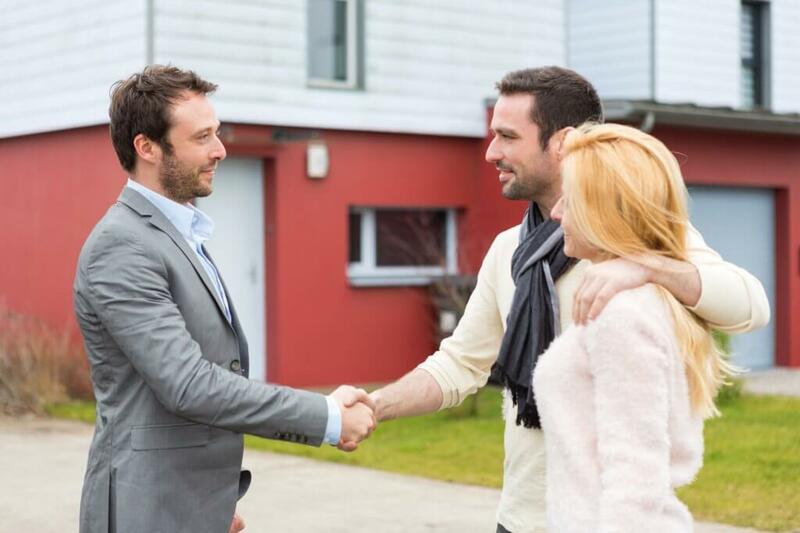 Of course, before selecting an agent, you will first need to research your various options and choose one with a good track-record and happy clients. It is important to know that they will need to be registered with the Estate Agency Affairs Board and have a valid fidelity fund certificate in order to operate. Why De Lucia Property Management? With in-depth experience managing various schemes, De Lucia Property Management incorporates specialised skills, personalised attention and qualified expertise to manage sectional-titles, as well as Homeowners' Association and lifestyle estates. They have successfully assisted an innumerous number of schemes by implementing proper administration and controls that is in-line with the required legislation. Furthermore, their track record shows that they have helped a multitude of schemes effectively recover from financial distress. The division upholds an all-in-one management approach that benefits all parties within a scheme, that is, owners, residents, tenants, landlords, trustees and directors. Some of the unique services facilitated include secretarial duties, accounting duties and maintenance and security duties. Considering the incredible importance of managing agents, we at De Lucia Group pride ourselves in delivering only the best service using the finest expertise. To find out more, speak to us today.